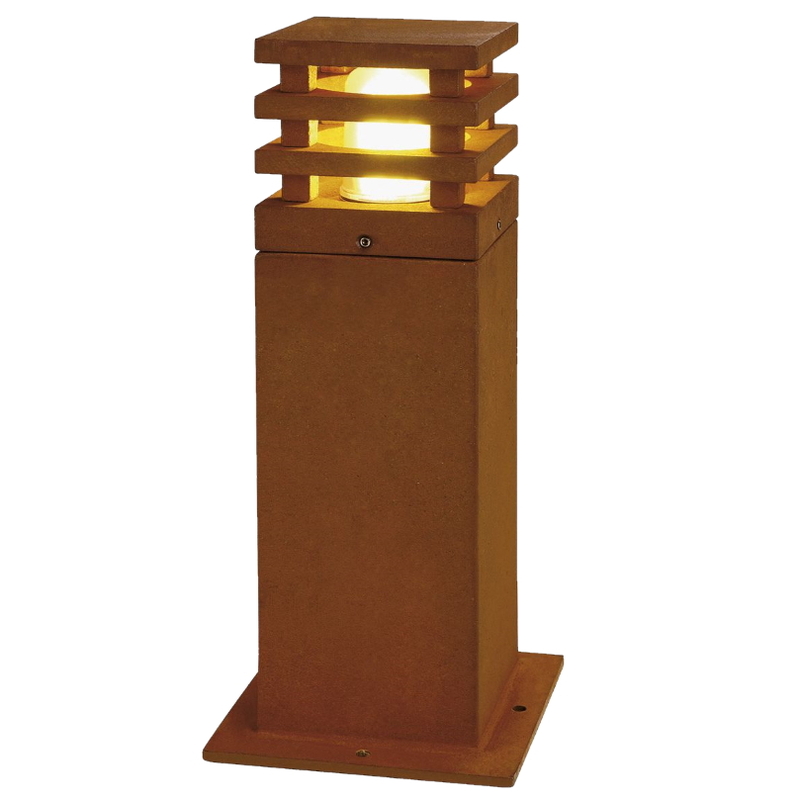 Outdoor IP55 square LED garden bollard light in a rusty brown colour, with a 3000K warm white LED output. The Rusty series of outdoor floor and bollard lights give an impressive look, due to the unusual rusted appearance that they portray. They can add style and character to the outdoor area that they are installed in, and can really create a peaceful and relaxing outdoor environment.